A black prison psychiatrist is assigned the distasteful task of helping a paranoid American Nazi charged with sedition. Great roundball history piece ! What can you say about the Harlem Globetrotters that hasn't already been said? This film is pure basketball history complete with a great story line and some of the best players EVER to play the game! 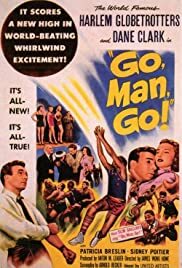 When I viewed this film in the 50's it was my inspiration to play the game. That was nearly fifty years ago and I will NEVER FORGET IT !!!! !